The steel mill expects difficulties with import supplies of coal. 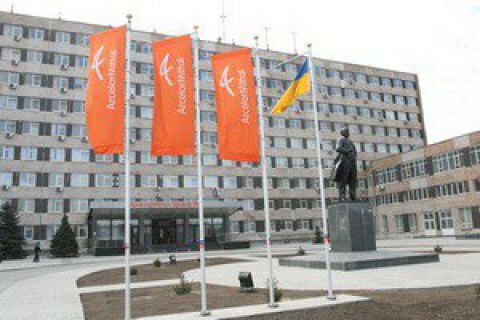 ArcelorMittal Kryvyi Rih steel maker company reported experiencing the lack of coals grades ASh and AS, which are crucial raw materials for sintering and steelmaking. The company is concerned about the possible risks regarding future supplies, the company said in a release. The raw material shortages were caused was the blockade of the railway tracks in Donbas, the company said. "Eastern region, as the source of supply of raw materials, was lost for PJSC ArcelorMittal Kyvyi Rih in 2014 yet, and the plant had to shift on to imported raw materials, but nowadays the risk of failure of imported railway supplies is there," the release reads. In January 2017, political activists led by several people's deputies organized the so-called trade blockade of the self-proclaimed "D/LPR". To date, the participants blocked three railway branches linking the occupied territories with the mainland Ukraine. The posts on two highways do not block traffic but perform "monitoring and supervisory functions." The blockade interrupted the supply of anthracite coal from the uncontrolled territories to Ukraine and called for an emergency situation in the energy sector. The "DPR" and "LPR" militants took advantage of the situation to seize control of industrial enterprises and companies who had paid taxes to the Ukrainian treasury.